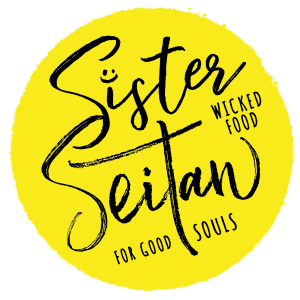 Sister Seitan – Expect lush burgers and loaded fries topped with homemade Vegan Gyros, Spicy BBQ Ribz, Beaf patties and oozy Cheez Sauce. This year, Sister Seitan is showcasing a Vegan Deli with a variety of Sister-made Seitan. We're talking roasts, charcuterie and Summer BBQ Seitan along with cheezes and take-away meals. Be sure to bring along your tupperware!